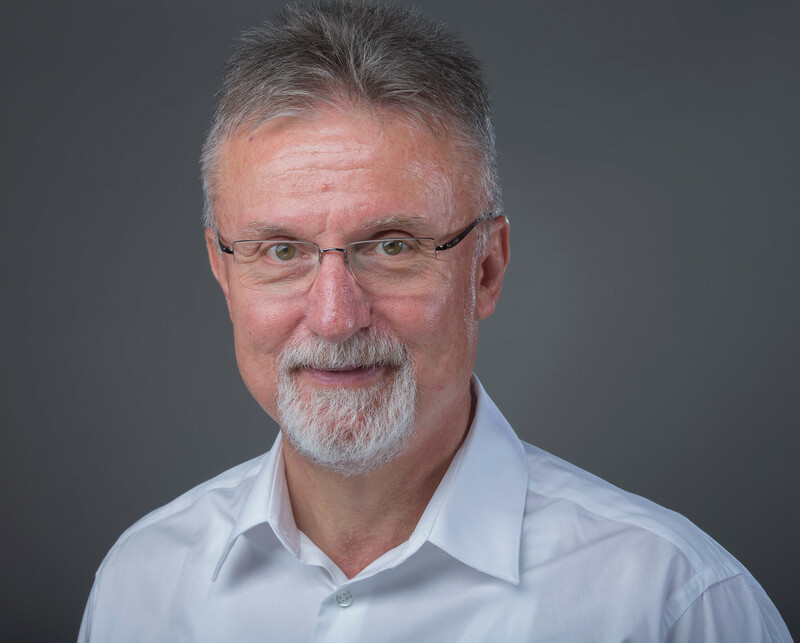 I am a faculty member in Computer Science Program at Carnegie Mellon University – Qatar where I also serve as Associate Dean for Research and Faculty Head of the Computer Science Program. Here is a recent CV. I also take pictures occasionally. Here are some of the better ones on Flickr. Follow @oflazer on Twitter. Mostly Computer Science and NLP stuff (English/Turkish). You can also listen to a podcast version on Apple iTunes or on Spotify . 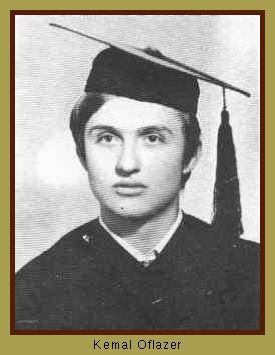 Ph.D. Computer Science, Carnegie-Mellon University, Pittsburgh, PA USA. M.Sc. Computer Engineering, Middle East Technical University, Ankara, Turkey. B.Sc. Electrical Engineering, Middle East Technical University, Ankara, Turkey. High-School Robert College (View from Google Maps), Istanbul, Turkey. Here is a very nice view. This is how I looked back then. During the Fall 2018 Semester, I taught 11-411 Natural Language Processing. During Spring 2019 Semester I am teaching 15-210 Parallel and Sequential Data Structures and Algorithms. I am mainly interested in Natural Language Processing. See publications below for further information. I gave an invited talk at LREC-2012 in Istanbul, Turkey on Turkish and its Challenges for Language Processing. I gave a short course on Computational Morphology at NASSLLI-2018 – North American Summer School in Logic, Language and Information, at Carnegie Mellon University, June 23-29 2018. I gave two talks at Boğaziçi University Summer School on Machine Learning in Speech and Language Processing, and Bioinformatics, in Istanbul, Turkey, July 2-6, 2018. Here are the videos (in Turkish): Talk 1 and Talk 2. Program Committee Member for NAACL 2019. For a more complete list of professional activities, please see my CV. Jun Araki, Lamana Mulaffer, Arun Pandian, Yukari Yamakawa, Kemal Oflazer and Teruko Mitamura, Interoperable Annotation of Events and Event Relations across Domains, (to appear) In Proceedings of ISA-14, The 14th Joint ACL – ISO Workshop on Interoperable Semantic Annotation, Santa Fe, NM, August 2018. Houda Bouamor, Nizar Habash, Mohammad Salameh, Wajdi Zaghouani, Owen Rambow, Dana Abdulrahim, Ossama Obeid, Salam Khalifa, Fadhl Eryani, Alexander Erdmann and Kemal Oflazer, The MADAR Arabic Dialect Corpus and Lexicon, In Proceedings of LREC 2018, May 2018. Ossama Obeid, Salam Khalifa, Nizar Habash, Houda Bouamor, Wajdi Zaghouani and Kemal Oflazer, MADARi: A Web Interface for Joint Arabic Morphological Annotation and Spelling Correction, In Proceedings of LREC 2018, May 2018. Houda Bouamor; Hassan Sajjad; Nadir Durrani; Kemal Oflazer, QCMUQ$@$QALB-2015 Shared Task: Combining Character level MT and Error-tolerant Finite-State Recognition for Arabic Spelling Correction in Proceedings of the Workshop on Arabic NLP, Beijing China, August 2015. Houda Bouamor, Wajdi Zaghouani, Ossama Obeid, Mona Diab and Kemal Oflazer, A Pilot Study on Arabic Multi-Genre Corpus Diacritization, in Proceedings of the Workshop on Arabic NLP, Beijing China, August 2015. Serena Jeblee, Weston Feely, Houda Bouamor, Alon Lavie, Nizar Habash and Kemal Oflazer, Domain and Dialect Adaptation for Machine Translation into Egyptian Arabic, in Proceedings of Workshop on Arabic Natural Language Processing at EMNLP 2014, October 2014, Doha, Qatar. Serena Jeblee, Houda Bouamor, Wajdi Zaghouani and Kemal Oflazer, CMUQ$@QALB-2014An SMT-based System for Automatic Arabic Error Correction, in Proceedings of Workshop on Arabic Nat- ural Language Processing at EMNLP 2014, October 2014, Doha, Qatar. Houda Bouamor, Hanan Alshikhabobakr, Behrang Mohit and Kemal Oflazer, A Human Judgement Corpus and a Metric for Arabic MT Evaluation, in Proceedings of EMNLP 2014, October 2014, Doha, Qatar. Wajdi Zaghouani, Behrang Mohit, Nizar Habash, Ossama Obeid, Nadi Tomeh and Kemal Oflazer, Large-scale Arabic Error Annotation: Guidelines and Framework, in Proceedings of LREC 2014, 9th International Conference on Language Resources and Evaluation, Iceland, May 2014. Houda Bouamor, Nizar Habash and Kemal Oflazer, A Multidialectal Parallel Corpus of Arabic, in Proceedings of LREC 2014, 9th International Conference on Language Resources and Evaluation, Iceland, May 2014. Ahmed Salama, Houda Bouamor, Behrang Mohit and Kemal Oflazer, YouDACC: the Youtube Dialectal Arabic Comment Corpus, in Proceedings of LREC 2014, 9th International Conference on Language Resources and Evaluation, Iceland, May 2014. Emad Mohamed, Behrang Mohit and Kemal Oflazer, Generating Colloquial Arabic from Standard Arabic, in Proceedings of the 50th Annual Meeting of the Association for Computational Linguistics, Jeju, South Korea, July 2012. Nathan Schneider, Behrang Mohit, Kemal Oflazer and Noah A. Smith, Coarse Lexical Semantic Annotation with Supersenses: An Arabic Case Study, in Proceedings of the 50th Annual Meeting of the Association for Computational Linguistics, Jeju, South Korea, July 2012. Behrang Mohit, Nathan Schneider, Rishav Bhowmick, Kemal Oflazer and Noah A. Smith, Recall-Oriented Learning of Named Entities in Arabic Wikipedia, in Proceedings of EACL-2012, Avignon France, April 2012. 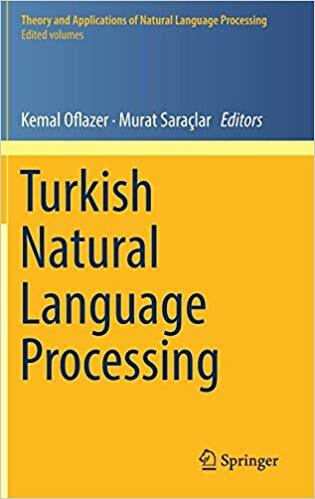 Gülşen Eryiğit, Joakim Nivre and Kemal Oflazer, Dependency Parsing of Turkish, Computational Linguistics, Vol:34 No:3, September 2008. If you need to talk to me please send me mail to me set up an appointment. Please check my calendar here before suggesting time slots and then suggest at least 3-4 15-minute slots suitable for you. This page last updated 22 Jan 2019.